Africa-focused gold producer Randgold Resources (LON:RSS) has doubled its full-year dividend after solid 2017 results, but it’s warning the good times may be over soon as it’s now facing demanding new regulations in Congo, one of its key jurisdictions. The company, which has five operating gold mines across west and central Africa, boosted shareholder payout by 100% to $2 a share, after a year of record production and soaring profits. Randgold’s 2017 profits rose 14% to $335 million and net cash jumped 39% to $720 million, with no debt. Randgold has benefited from growth at its main Loulo-Gounkoto mine in Mali. 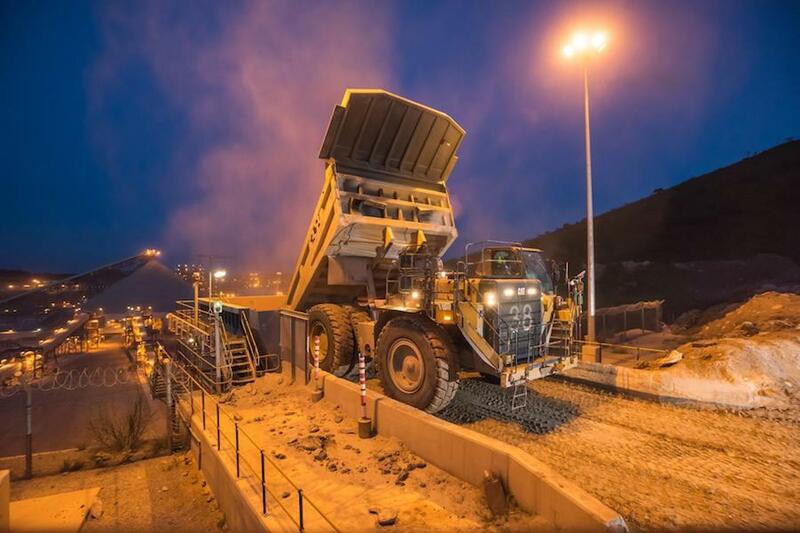 Last year it also achieved full-production at its underground Kibali project in the DRC. Annual gold production grew by 5% to 1.315 million ounces, ahead of its guidance, while cutting total cash cost by 3% to $620 an ounce. The company’s chief executive and co-founder, Mark Bristow, said the strong performance was led by Randgold's flagship, the Loulo-Gounkoto complex in Mali, and supported by an across-the-board delivery from its other operations, Morila in Mali, Tongon in Côte d'Ivoire and Kibali in the Democratic Republic of Congo. But he also warned that a new mining charter in the DRC might have “serious consequences” not only for his company, but also for the country’s entire mining industry. The law has been passed by both houses of parliament but still has to be signed by President Joseph Kabila. Bristow is asking for the code to be returned to the Mining Ministry for further consultation with miners. If this does not happen, the company will take its case to the International Court of Arbitration, Bristow said. The company has declared force majeure at its Moku-Beverendi gold project in Congo’s northeast, which was jointly developing with Israeli billionaire Dan Gertler, as he has been sanctioned by the US over alleged corruption. Randgold won't continue with joint development of the Moku-Beverendi gold project, as it wants to cut all ties with Israeli billionaire Dan Gertler. Despite the challenges in the DRC, which is responsible for about two thirds of global cobalt output, Randgold is forecasting 2018 production of between 1.30 and 1.35 million ounces at a total cash cost per ounce in the range of $590 to $640. This, considering the current increases in the oil price and the euro:dollar exchange rate. The gold miner noted it was also well placed to achieve its goal of developing three new projects in the next five years, with a production decision on the Massawa project due later this year.